Stripgenerator.com - A MERRY ZOLTAR CHRISTMAS ! A MERRY ZOLTAR CHRISTMAS ! 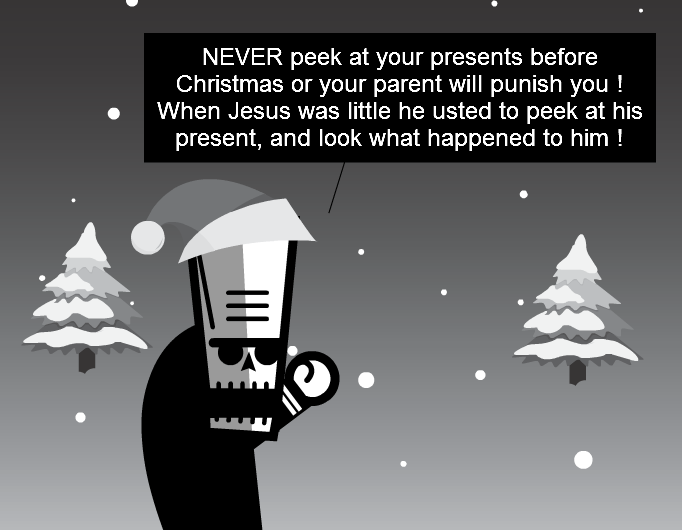 NEVER peek at your presents before Christmas or your parent will punish you ! When Jesus was little he usted to peek at his present, and look what happened to him ! Congratz and happy holidays, Zoltar ! Chapter and verse Zolty. If you can't prove it, it didn't happen.